Qdoba Mexican Grill is a chain of fast casual "Fresh Mex" restaurants in the United States serving Mexican-style cuisine. The company is owned by Jack in the Box, having been owned and expanded by ACI Capital until 2003. Qdoba now operates over 450 fast casual restaurant locations throughout the United States. Qdoba serves burritos made in the San Francisco burrito style, tacos, quesadillas, taco salads, chile con queso, Mexican gumbo, and fresh guacamole. The restaurant fits into the "fast casual" category, offering both quick service and a higher quality of food than typical fast-food restaurants. Customers order by selecting an entree, then choosing its ingredients. All of the items are made in plain view of the customer. The chain's current slogan is "Fast Fresh and Friendly". QLaser Solutions designs, patents, manufactures and sells low-level handheld laser scanners / emitters that offer natural pain management and healing for a wide variety of afflictions, including carpal tunnel, tennis elbow, migraine headaches, back pain, joint injuries, rheumatism & osteoarthritis, allergic rhinitis, and bacterial infections. The signature QLaser 1000 is FDA approved and registered to be 100% safe, using state-of-the-art laser technology running on less than one watt of power to produce QLaser's acclaimed "healing light". Quaker Steak & Lube is a casual dining restaurant chain based in Sharon, Pennsylvania. The original restaurant was built in 1974 by George "Jig" Warren and Gary "Mo" Meszaros in an abandoned gas station in downtown Sharon, and decorated with license plates and old automobiles. Originally a "cook-your-own-steak" establishment, Quaker Steak's signature dish is now its chicken wings and the variety of sauces used to season them. As of 10 August 2010, there are 42 restaurant locations, with the majority operating in eastern Ohio and western and central Pennsylvania. Locations do, however, span the United States including one location outside Denver, Colorado and another location in the Sunshine State in Clearwater, Florida. There is talk of opening a locating in Indianapolis, IN at the former Loon Lake Lodge restaurant which closed in June 2010 according the IBJ. 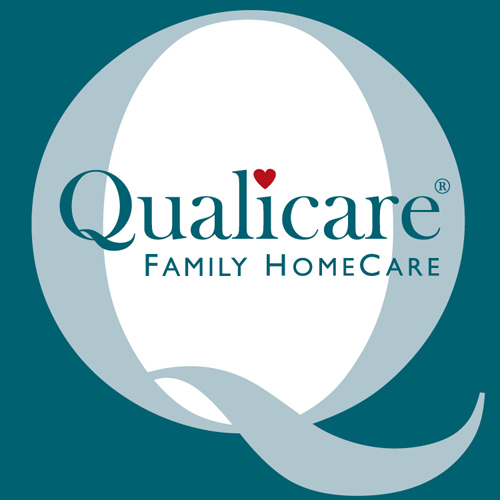 Qualicare is dedicated to guiding families through the complexities of managing their healthcare - particularly during times of medical crisis. Our clients get the best care possible with our industry unique 360° Case Management service. Quality Inn Suites is a midscale hotel chain that promises reliable, comfortable accommodations for a reasonable price. Quality Inn Suites offers its guests “hot, fresh, & healthy” breakfasts each morning, complementary coffee throughout the day, free local calls, free fast internet, and high quality bedding. If for any reason customers are dissatisfied with something about their stays, the front desk will do its best to address the problem in a prompt manner. Quest Consulting Services brings a total of over 20 years of business management and coaching experience and offers on-site training and support not found with other "Medical Billing Business Training" companies. Our team's main focus is offering Medical Billing Business Training to entrepreneurs that are interested in starting a business in a recession proof industry within the medical field. We are seeking professionals that possess strong management skills. Our business owners do not need prior medical related experience to be successful. In fact our top producing business owners have come from various industries unrelated to healthcare. A majority of our trainees are not medical billers and do not file claims! DES Companies, Inc. is pleased to introduce the newest financial services franchise opportunity: Quick Cash. Quick Cash is proven to be a leading provider of cash advances, check cashing, wire transfers and many other products. With the lowest initial investment in the industry, Quick Cash provides a tremendous amount of support and guidance throughout your tenure as a Quick Cash franchisee. Take a look at the information below, if you feel Quick Cash can help you reach your goals, continue the process by requesting more information. QuickSELLit is America’s most innovative eBay Drop Store franchise.For a total investment of only $44,000 you can have a fully operating store with training and support that can't be beat. Everyone you meet is a potential customer. You take the work out of selling on Ebay for them and you both make a profit. The smell of warm bread always welcomes you to Quiznos, home of the finest toasted submarine sandwiches, grilled flatbreads, savory soups and crisp salads. A fast-food franchise that uses only the freshest ingredients, Quiznos is based in Denver, Colorado, and has been making toasted sub sandwiches to order for more than 30 years. The second-largest sandwich chain in America, we believe in using quality ingredients and the power of toasting!